The first New Year's baby born in the South Coast region arrived at Charlton Memorial Hospital in Fall River at 8:45 a.m. on Friday, January 1, 2016. FALL RIVER, Mass. 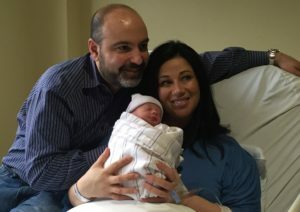 -The first New Year’s baby born in the South Coast region arrived at Charlton Memorial Hospital in Fall River at 8:45 a.m. on Friday, January 1, 2016. 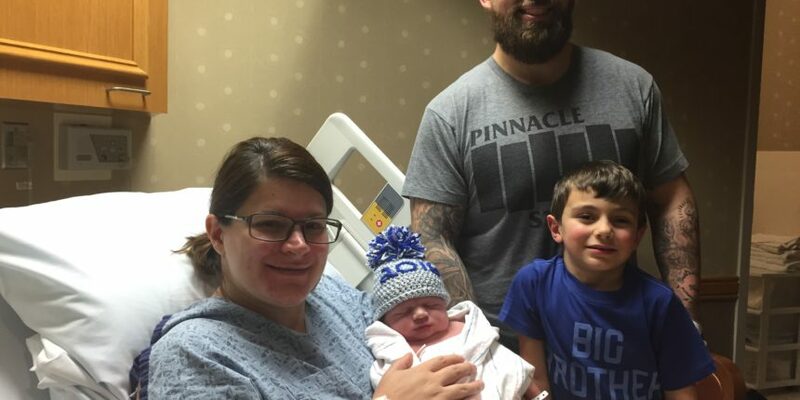 James and Gina Hermenegildo, of Marion, had a baby boy, Preston James Hermenegildo, weighing 5 pounds, 10 ounces and 19 inches long. This is the couple’s first child. Tobey Hospital in Wareham welcomed its baby at 10:16 a.m. on Friday. Peter and Gloria Medeiros, of New Bedford, had a baby boy, Ryder Joseph Medeiros, weighing 9 pounds, 11.5 ounces and 20.5 inches long. He is the couple’s second child. St. Luke’s Hospital in New Bedford greeted its first baby at 12:05 a.m. early Saturday morning. Justin and Miranda Furtado, of New Bedford, had a baby girl, Kendall Furtado, weighing 7 pounds, 9.5 ounce and 21 inches long. She is the couple’s first child. Each of the three New Year’s babies will receive a $100 gift card to Babies”R”Us donated by the St. Luke’s Hospital Auxiliary, Charlton Memorial Hospital Auxiliary and the Tobey Hospital Guild.